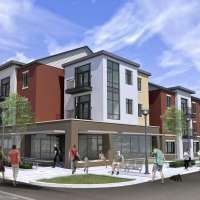 Currently under construction with a May 2017 completion is The Gateway at Belknap. Complimenting one of Grand Rapid’s most historic and iconic neighborhoods, this 96,300 sq. 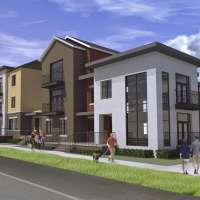 ft., Mixed-Use development was created with unanimous approval through the Neighbors of Belknap Lookout association, as well as City Planning Commission. 160 surface and parking deck spaces provide adequate access for the 86 studio, one and two-bedroom townhome and loft apartments, as well as restaurant and retail patrons on the 1.6 acre site. Along with neighborhood support, the project was awarded brownfield incentives. 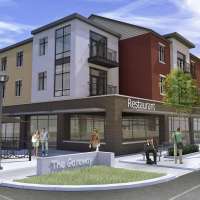 Future residents will be within walking distance of the Medical Mile, including the new GVSU medical education facility being built one block east of the Gateway at Belknap.